This Kit will relocate inboard the shocks in a stock Camaro frame. It will facilitate large tires with or without a mini tub. This Kit is perfect for relocating your shocks inboard. The bracket is mild steel, tig welded, which strengthens the area between the frame rails as well. You do not need to cut into your trunks compared to other kits. Keeps the top of the shock completely hidden in the stock factory pocket. 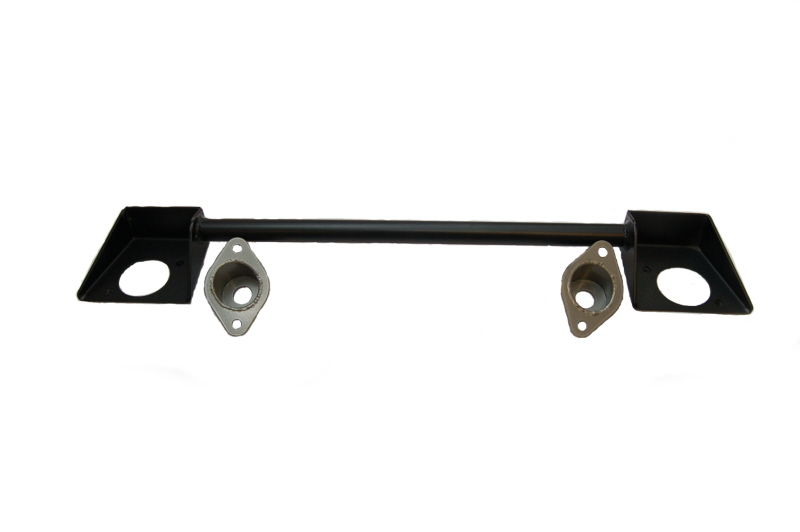 Note: if you have a 67 camaro you can use the stock shock mounting brackets, if not you will need to purchase some from us. If you already have purchased or are going to purchase our Assassin traction device you will not need these brackets because the shock mounting holes are already built in. Your existing shocks will work as long as you do not change ride height. 67-69 Camaro takes 80 deg cups for stock spring location & 85 deg if using offset hangers. 68-74 Nova takes 70 deg cups for stock spring location & 75 deg if using offset hangers. 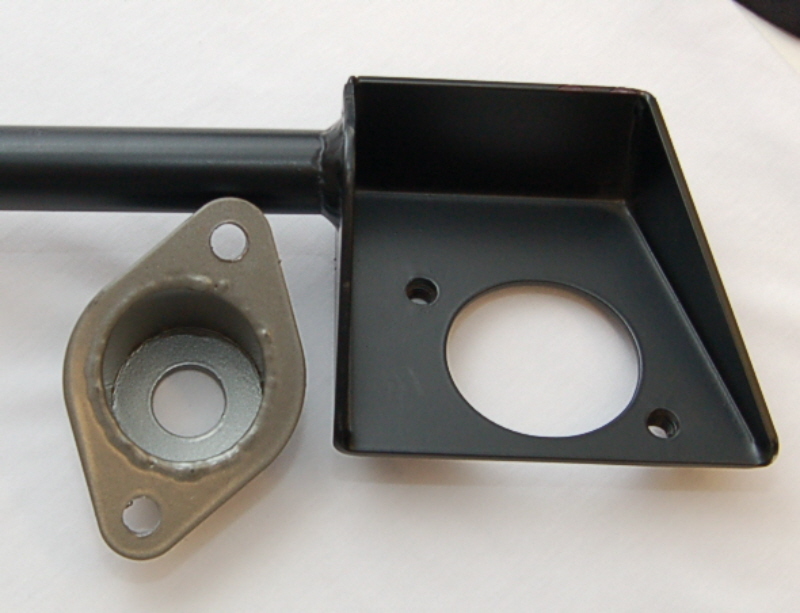 For Mounting bottom of the shock see our Leaf Spring Lower Shock Mounts. For Installation Instructions Check out our instruction section or visit our Youtube page.